Enjoy new crashing and bashing performance fun with this Cars 3 Bumper Basher Oversized 1:55 Scale Vehicle Case! Inspired by Cars 3 and its Derby style competition, each key character vehicle has true-to-movie details. Just rev the wheels up against a surface, release and see them race - then collide into obstacles and rivals on the way to victory! 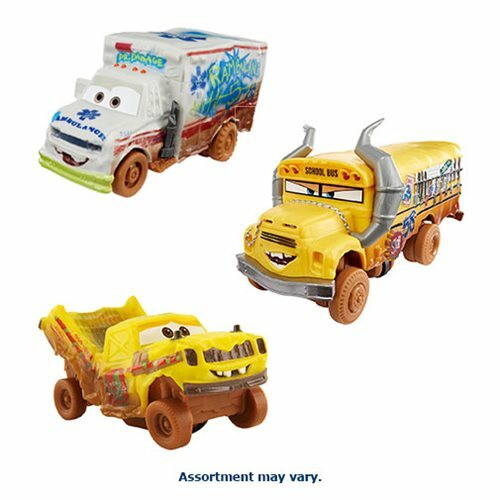 This Cars 3 Bumper Basher Oversized 1:55 Scale Vehicle Case contains 2 individually packaged vehicles.